In Part 1, I introduced the idea that both Catholicism and hyper-Arminianism (hyper-Calvinism’s brother) make the deadly mistake of including works in the salvation formula, and hurt many people. Let’s dig in some more. Even if the offense seems minor, it is still an offense against an infinite being….The scrupulous person may believe that the difference between venial and mortal sin is only one of degree. Though there are different degrees of sin, all sin is of one kind; all offenses against God are equally serious. Given the inevitability of sin, there’s not much hope of salvation. It is right about the seriousness of human freedom, which is not a game. We do have the power to dislodge God’s grace from our hearts through sin. But scrupulosity gets the other half of the grace/freedom picture wrong: It fails to take into account that God’s grace is so powerful that it is not as easily dislodged from the heart as the scrupulous person thinks. If you are an Arminian, you are probably nodding in agreement with the Catholic view here, and I was probably not wrong to lump you in with the Catholic on this doctrine. It all makes such intellectual sense. 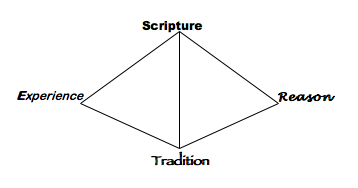 I admit that there is a bit of mystery in the relationship between faith and good works, and I will grant that Arminian and “New Pauline” views of works rightly challenge a purely Calvinistic view of grace and works, so let me be plain – I’ve tried the ‘grace plus works’ Christianity, and it does not work. It does not bring peace or goodness. It brings death. 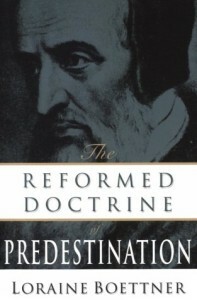 And when this experience forced me to to review and ‘reform’ my theology (experience, reason and tradition are meant to inform our theology), I found a Calvinist emphasis on God’s work and power, a view that significantly minimizes our ability and role in salvation, worked both intellectually AND practically. While effort and responsibility on our part may be part of the equation, the better emphasis is that I have no requirement to do good, and must believe that God did and does it for me and in me, and I stop trying to be good enough. Instead, I respond to and cooperate with what God is doing in me. Whatever responsibility we have to expend effort, I think putting the emphasis and responsibility primarily on us is a huge mistake – it shifts subtly to faith in our own abilities, instead of faith in God, which leads to utter failure. What brings the peace and power of God is the idea that we must CEASE our efforts, and believe God. That is the proper foundation of faith. While many Arminians are rightly concerned about ‘easy believism’ based on this emphasis on ceasing our works, and have many good proof-texts from scripture citing our responsibility to apply ourselves, genuine faith in God, along with regeneration, create real works, and zeal to follow God. Emphasis on our effort short-circuits the inward work of God very seriously. Let me present some simple formulas which might put it all in perspective. The former brings LIFE and PEACE. The latter brings scrupulosity and DEATH. Which is what both Catholic and Arminian views of works bring. Not to mention mental illness and stress. Protestantism provides the Reformers’ Five Solas to bring this life and peace to Christians suffering from extreme Arminianism, but what can Catholicism offer its adherents? Here’s a sampling of their articles trying to fix the problem with their gospel. Now I don’t want to confuse our ultimate safety with God with the daily effort at developing a clean, mature conscience. But I do not think that Catholic approach fixes the root of scrupulosity, which is a fear that one will lose their salvation if they don’t make the right choices. That type of thinking is a mistake borne of the false gospel of adding our own works to salvation.